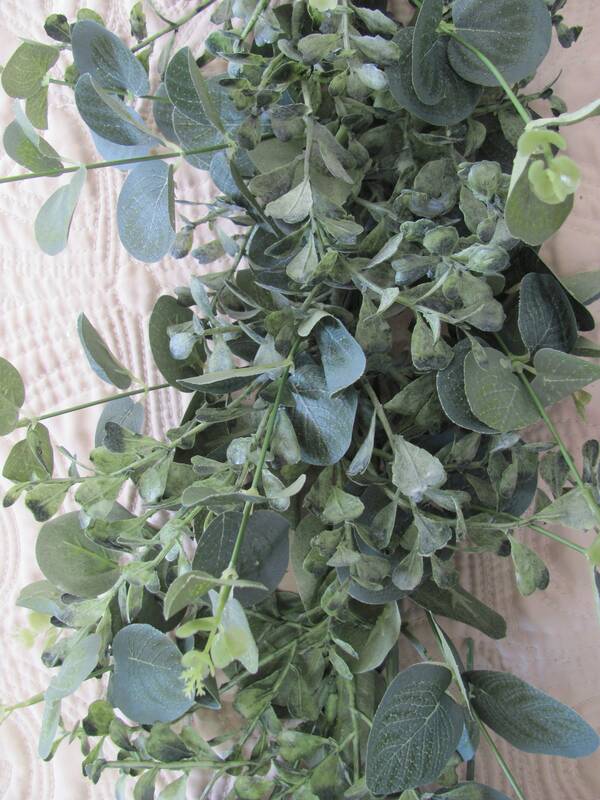 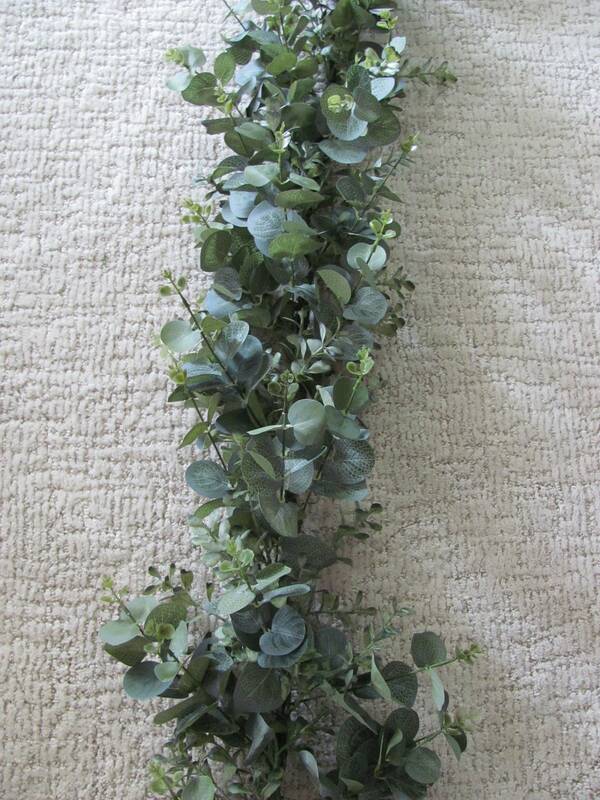 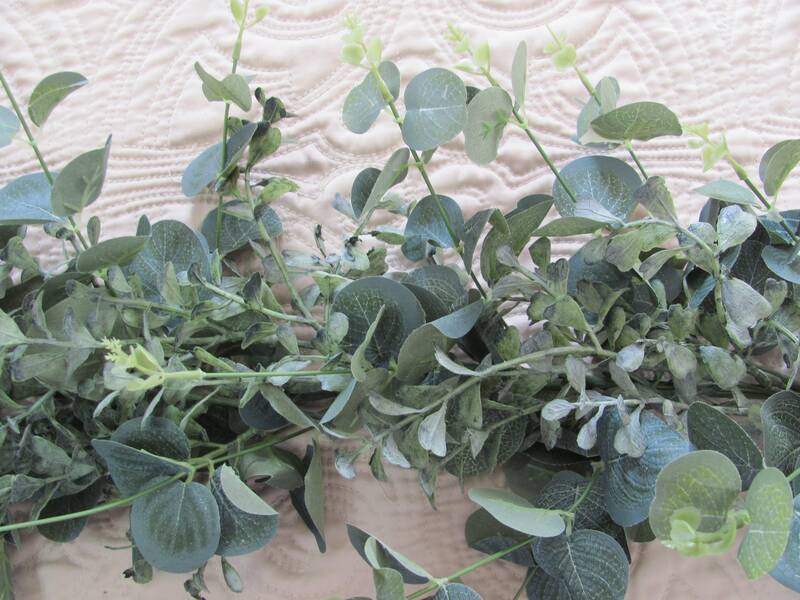 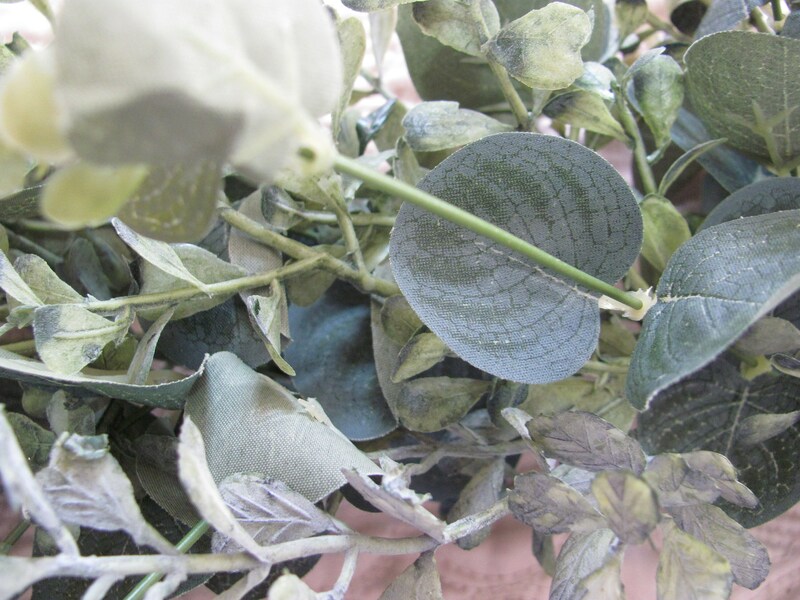 Eucalyptus and boxwood garland ideal for wedding reception table centerpiece. 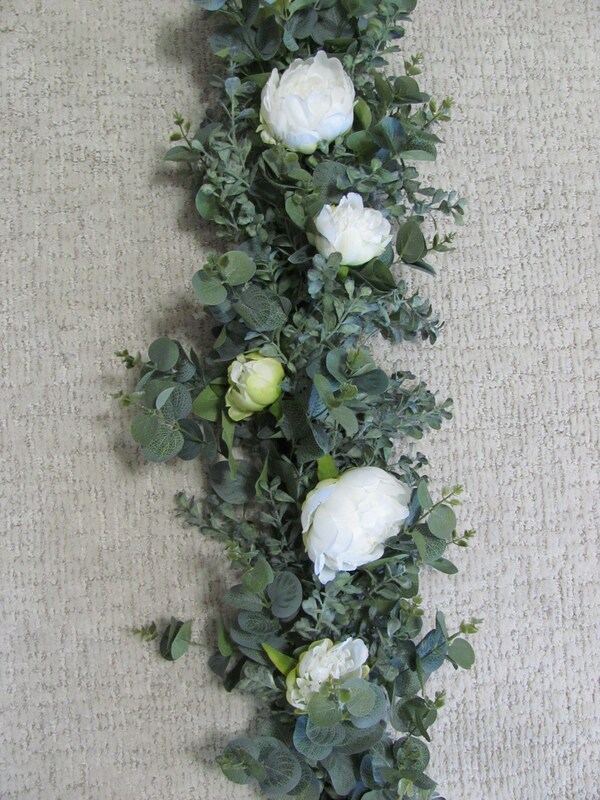 This garland is made with artificial eucalyptus leaf in green grey color and artificial blue green boxwood. 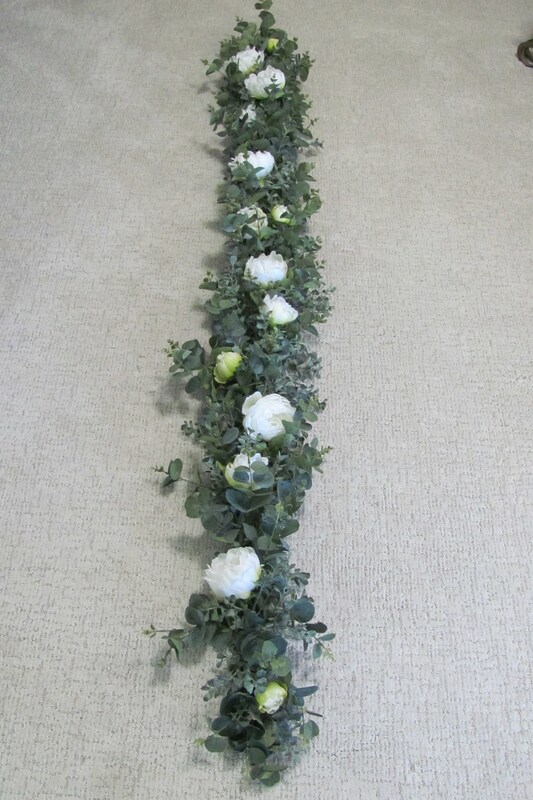 Width is approximately 6 to 7 inches at its widest when shaped. 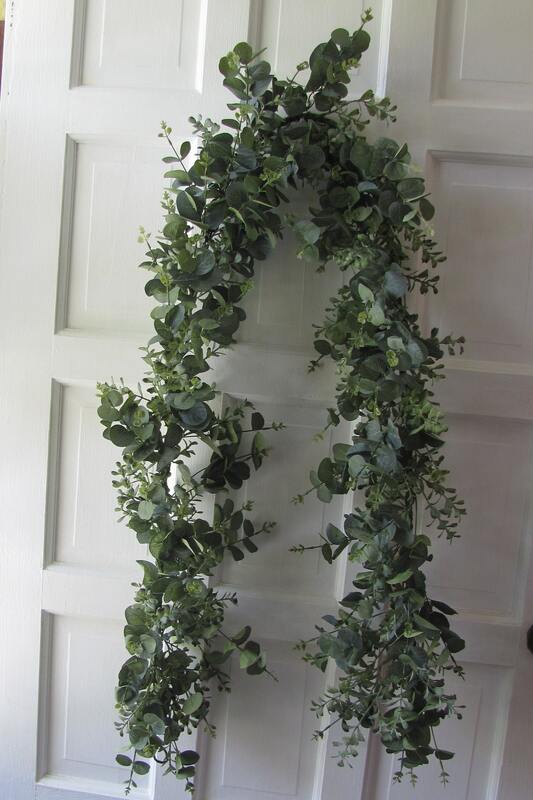 ****Contact me and I will do a special order listing for you. 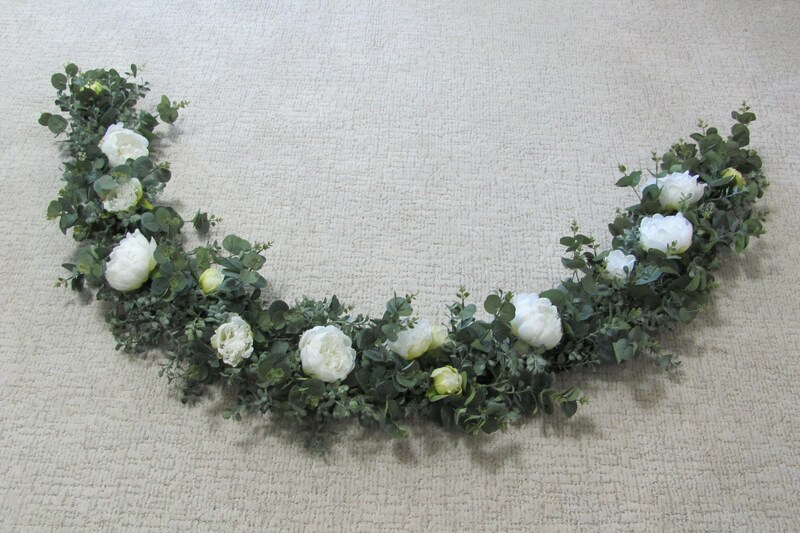 Right now orders are running 4 weeks in production. 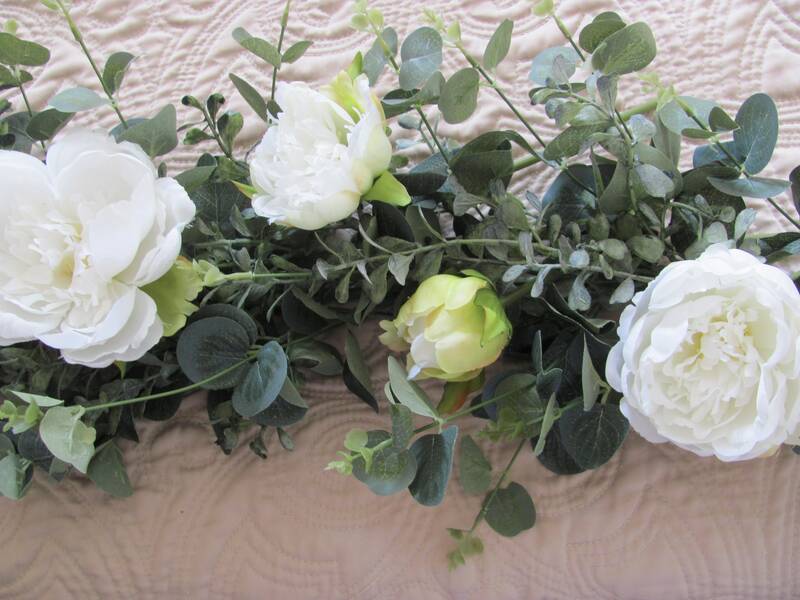 Please note that requests for different flowers etc are welcome however price can vary based on your request for more flowers and different style etc.